Lightning ripped through a sky the color of old bruises. The scout marine’s camo cloak billowed in the wind, acidic rainwater making tiny holes in the fabric where it fell. His auspex array started to bleep, and he stuck his hand up, signalling for his squad to hold position. Carefully, he picked his way across black rocks to find a better position, then he readied his sniper rifle and pressed his eye against the scope. Under normal conditions, the tactical display measured range, elevation. It even calculated precisely where the barrel should be aimed depending on what the soldier wanted to kill. But these weren’t normal conditions. The targeting display buzzed and flickered, and the numbers stopped making sense. As the space marine attempted to concentrate, he noticed words appearing on the display that shouldn’t have been there. Blasphemous words he did not want to read. He flicked a switch on the side of the scope and shut the display off, choosing instead to trust his own enhanced eyes. 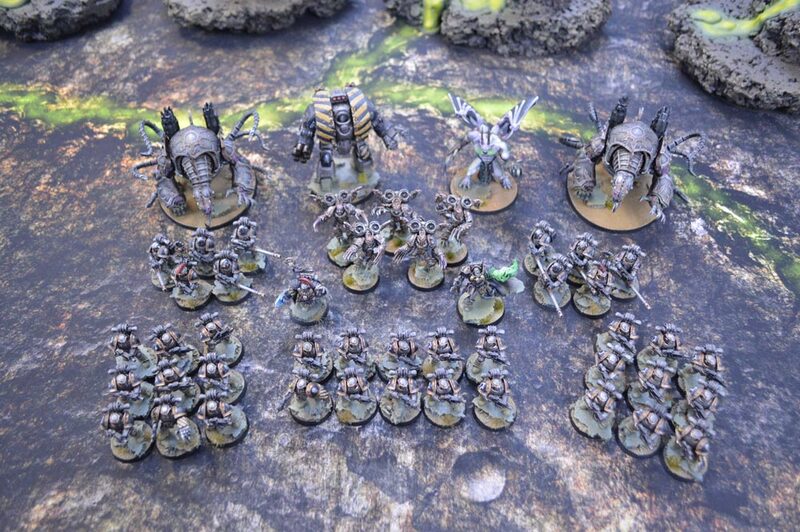 Ahead was the carcass of the small supply outpost the Adeptus Astartes had been sent to investigate. Already the situation looked grim. Its walls had been breached—not just breached, but torn down as if by some mighty beast. Its running lights were down, the power had gone out, but eerie lights flickered within the structure regardless causing sinister shadows to dance around inside its broken walls. Like a well-oiled machine, the scouts moved into position, each finding a spot on which to rest their long-barrelled sniper rifles. Patiently the brother sergeant watched the compound, trying to analyse the shapes being cast in the dark. Tendrils. Fire. Great, hulking shapes. What in the Emperor’s name had befallen this wretched place? Then it happened. Someone had exited the structure and had started running away from it. Human, panicked, fleeing. The space marine angled his rifle just so, trailing the human so his bullet would strike true should he need to squeeze the trigger. But the human wasn’t running toward the marines; he was running aimlessly, without direction, and into weather he would surely not survive inside. Muzzle flashes caught his eye. Bullets followed the panicked human; not bullets, but bolter rounds. And the sergeant brought his sniper rifle to bear on the source of the shooting, he saw them. Their armor was thick, and ancient, and adorned with spikes. Their shadows loomed impossibly large, like monsters in themselves. Through a gap in the wall, the Iron Warriors spilled out. Having taken what they needed, they were ready to move on and taking a path that would see them move through the scout’s position. Without fear, the sergeant trailed his weapon on one of the iron warriors, aimed, and gently squeezed the trigger. And seconds before his rifle spoke, he called in reinforcements. 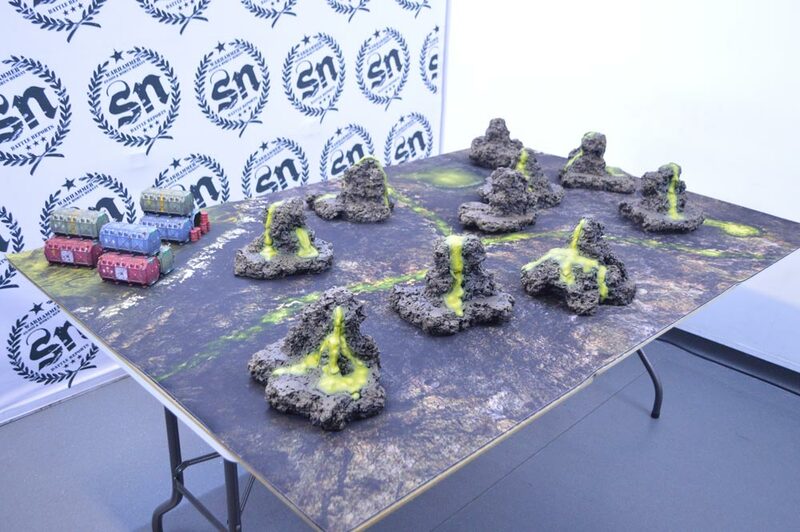 Greetings all and welcome back to another battle report, held in none other than the famed SN Studio! 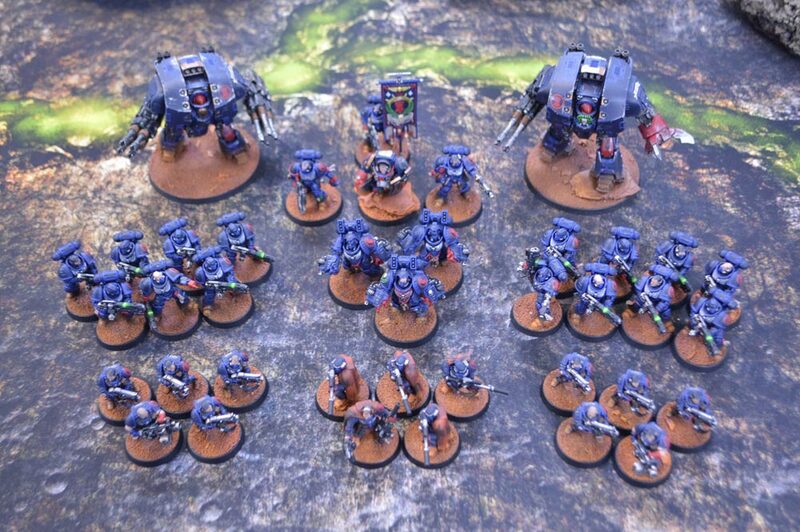 In today’s battle, we will be showcasing two returning studio forces, those being the Iron Warriors and the Crimson Fists. Being played on one of our classic boards which has been prepared by the team themselves, both players prepare themselves for deployment. Hold on to your seats boys and girls this is going to be a good one!